Can I balance transfer from one Barclaycard to another? 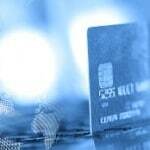 Are Barclaycard to Barclaycard balance transfers allowed? Here at Balance Transfer Expert we see large numbers of credit card customers, every month, looking for answers related to making a balance transfer from one Barclaycard to another. Barclaycard are one of the largest credit card issuers in the UK. Around 10 million customers currently have a Barclaycard credit card in the UK. Are there any Sainsburys balance transfer credit cards still available? In early 2017, the longest Sainsburys balance transfer credit card offered customers 0% for up to 42 months on balance transfers. 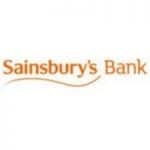 By December 2017 however, the longest Sainsburys balance transfer offer was a much shorter, 0% for up to 36 months. Here at Balance Transfer Expert we often see credit card customers searching for answers to questions relating to which credit cards are MBNA cards and which credit cards are not MBNA cards. Which credit cards are MBNA? Which credit cards are not MBNA? Which credit cards are owned by MBNA? Which credit cards are issued by MBNA? When a credit card customer is looking to make a balance transfer, can they make a Mastercard to MasterCard transfer? Are there any restrictions on a MasterCard to MasterCard transfer? A Mastercard to Mastercard transfer occurs when a balance transfer take place between two Mastercard credit cards. MasterCard is a worldwide company that provides the payment technology and standards that enable commerce all around the world. At Mastercard they provide the connections between the credit card companies, the merchants and cardholders. At Balance Transfer Expert, it is very common for the team here to see questions asking which credit cards can I balance transfer Barclaycard to? Is Barclaycard MBNA? Here at Balance Transfer Expert we see a lot of UK credit card customers looking for answers to questions like the one above, when they are planning to make a balance transfer.